TAKE YOUR SHOP TO THE NEXT LEVEL. LIKE NEW $10K. 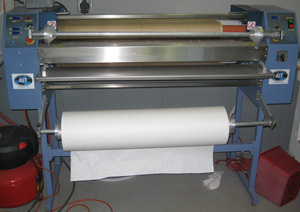 ( $18K NEW ) YOU CAN DO ENTIRE BOLTS OF FABRIC ON THIS MACHINE. FLAGS, FULL ALL OVER PRINTS ON SHIRTS SHORTS PANTS AND MORE. E-MAIL ME IF YOU ARE INTERESTED. MACHINE IN LAS VEGAS NV. Would you do a trade? what model is this unit? what year was it built? how big is the drum? is it hooked up toi inspect? Do you still have this press?? ?